the number of states east of the Rocky Mountains that have not closed the loophole! What is the problem, if someone is in the Country ILLEGALLY, do not give them a driver’s license. Why not give a 10 year old a license, he is not able to drive legally either. It really seems like a simple concept to grasp; but somehow it escapes our legislature. Granted, they did come up with a half- assed solution at the last minute. 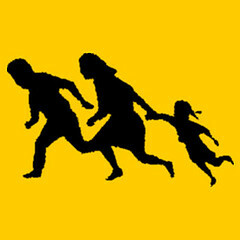 So until June 1, 2009, any illegal alien can come to Maryland and get a valid license valid for 4 years–no documentation needed! Illegals that already have a license can renew it up to 2015 at which time Maryland will issue special licenses to the illegal aliens marked “not federally compliant”. Now to their credit, they are not going to allow new illegals to obtain licenses after June 1st; but why give them 45 days? And why placate them after 2015. Illegal is illegal. So here we are, a full fledged Sanctuary State until June 1, 2009 when we become a 90% Sanctuary State until 2015! Just unbelievable. And to give you an idea of the size of this problem, the MVA issues 2000 licenses per week to illegal immigrants. And here is the memo from Virginia Clagett, one of our Delegates explaining why she voted to give illegal aliens Maryland licenses. Driver’s Licenses and Compliance with Real ID Federal Requirements: On the last day both Houses approved a compromise measure to eliminate illegal immigrants’ access to driver’s licenses as of June 1st. An emergency clause which would have stopped issuing licenses April 19th failed to get the necessary 85 votes. Those who already have licenses can renew until 2015. The license will not permit the holder to enter Federal buildings or board planes. Throughout the debate and various votes I voted above all for security and safety, keeping in mind that many without a license will drive anyway, and, therefore, without insurance or any way for police to track them after an accident. It is best to be realistic and allow the police to have some control over and information about all drivers.